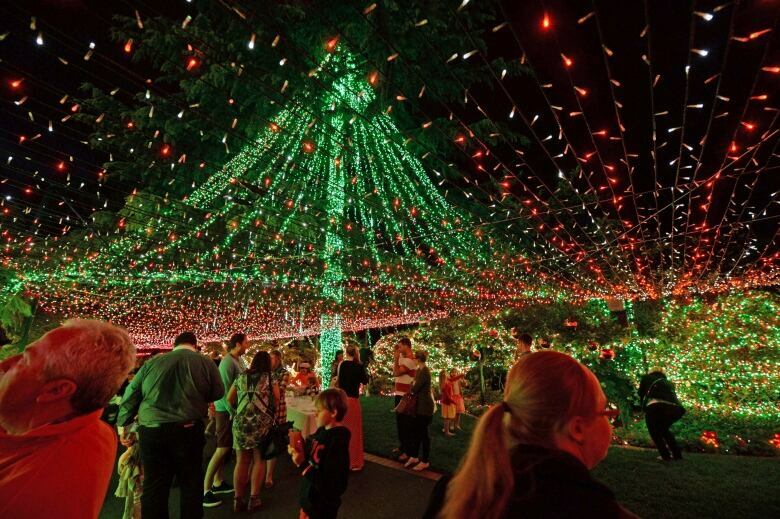 An Australian family has reclaimed their Guinness World Record by stringing up more than half a million Christmas lights around their suburban home. The Richards home with its lights on more than 50 kilometers of wire in suburban Forrest will be open to the public from the weekend to raise money for charity. David Richards — husband of Janean and father of Aidan, 13, Caitlin, 10, and Madelyn, 6 — said most of his neighbours supported the display. But some hadn't spoken to him since the last record was set. "I have always loved Christmas. Having the Christmas lights with the community coming in and sharing it is a time when you get to know people you probably should know better, I guess," he said. He said while he bought the lights, a local power company would donate the estimated 2,500 Australian dollars ($2,300 US) in electricity that would illuminate them for the next month. He had vowed he had retired from Christmas lights competition after his 2011 record. Richards said he would need a generator to get any more electricity for his home.